That’s why most people like to give their new residence a good clean when moving in, so they can feel confident there are no germs or traces of anyone else in their new home. However, while many scrub the bathrooms and clean the oven, one area they tend to forget is the carpet. 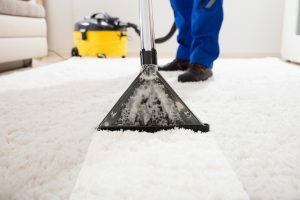 Here are just a few reasons why hiring a carpet cleaner in Liverpool should be high on your list of things to do after getting keys to a new property. Unless you have bought a newbuild, it is likely the house or flat will have some carpet stains. These can be unsightly and disappointing to see, particularly if your furniture doesn’t hide the blemishes as effectively as theirs did. However, you don’t need to panic, as many stains can be removed with a good-quality carpet cleaner, extracting residue that vacuum cleaners and high street products cannot lift. Even if you are an animal person, you are unlikely to want other people’s cat or dog hair left in your new home. And those who have pet allergies will especially want these traces to be removed, so they don’t suffer from any symptoms from the leftover fur. What’s more, if the previous tenants did not give the place a hoover before leaving, there will also be remnants of human hair and, potentially, nails and skin, so you will want to get rid of these as soon as possible. Not only does it feel grubby if your carpet is not cleaned between occupants, but it can also be very unhealthy. You don’t know what germs the old owners or renters were carrying and a dirty carpet can hold a plethora of bacteria and bugs. Therefore, by getting your carpet cleaned you can reduce your chances of falling ill, especially at this time of the year. This entry was posted in Advice and tagged carpet cleaner Liverpool. Bookmark the permalink.